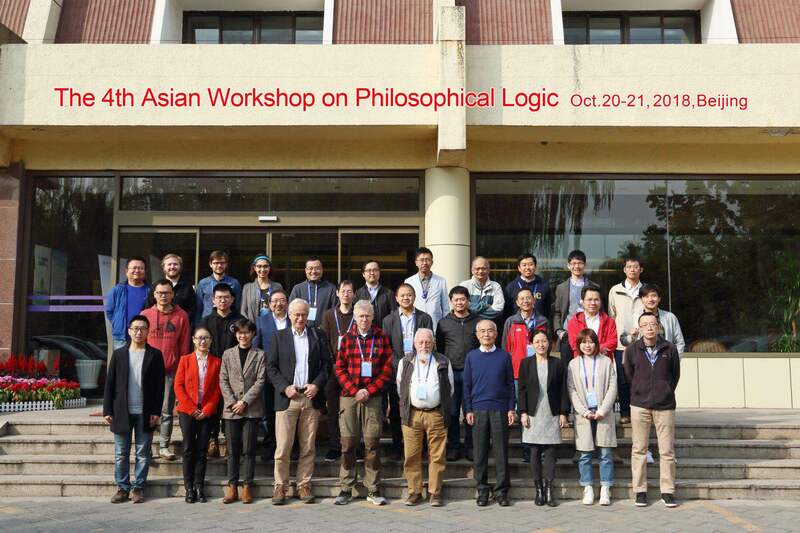 Asian Workshop on Philosophical Logic (AWPL) is an event-series initiated by a group of Asian logicians, and in 2012 the first installment took place at the JAIST in Japan. It is devoted to promote awareness, understanding, and collaborations among researchers in philosophical logic and related fields. The workshop emphasizes the interplay of philosophical ideas and formal theories. Topics of interest include non-classical logics, philosophical logics, algebraic logics, and their applications in computer science, cognitive science, and social sciences. The second and third workshop took place successfully in Guangzhou (2014) and Taipei (2016), respectively. And the two post conference proceedings were published in the Studia Logica book series “Logic in Asia” (http://www.springer.com/series/13080?detailsPage=titles) with Springer. 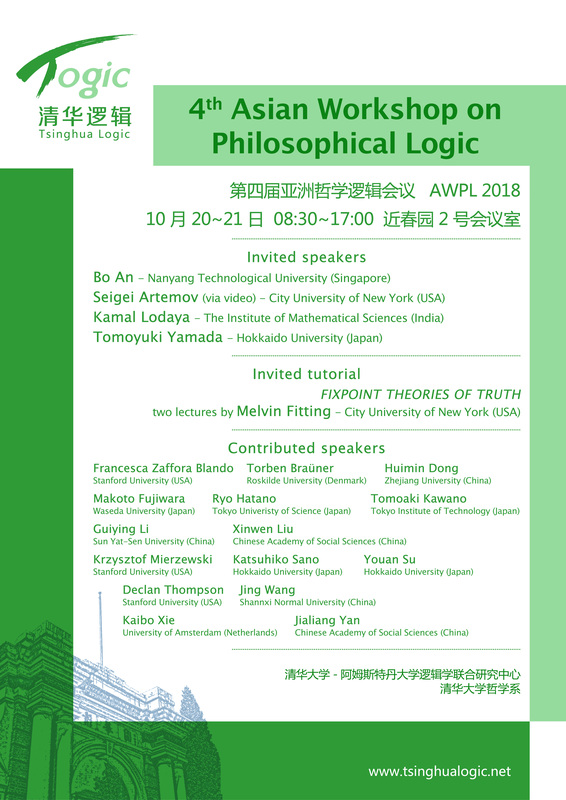 The Fourth Asian Workshop on Philosophical Logic (AWPL 2018) will be held in Beijing, China, on 20-21 October 2018, organized by the Tsinghua-UvA Joint Research Centre for Logic at Tsinghua University. The AWPL is co-located with the workshop “Tsinghua meets CUNY” that will take place on 19 October 2018, all AWPL participants are invited to join that event too. The program and poster of AWPL 2018. The slides of our invited speaker Professor Melvin Fitting.